Stuffy nose. Foggy head. Sore throat. Bad cough. Fever. Body aches. Cold and flu season is in full swing here in the U.S.
What constitutes too sick to workout? A lot of times people that are into fitness or athletics will ignore their illnesses and continue to workout anyway. But is that safe? Some experts say yes. As long as the sickness is above the chest. Honestly if you feel like crap and can’t even imagine having a good workout, then maybe skip the gym or your run for the day. BUT- if you feel like you can manage it, a light workout may help you to feel more like yourself. I have definitely worked out/ran when I was under the weather and it did not feel good, nor did it help me to heal. I have since learned how to best listen to my body and I want to share some tips with you on how to listen to your body’s signals. I am not here to try to tell you what to do, but I do want to help you to determine if it is a good idea to go to that spin class when you have a fever. First- here’s the “dirty” on germs, bugs, and bacteria (thanks Marquette for teaching me a few things ;)). Every single day our bodies are fighting off attacks from bacteria, viruses, fungi, and parasites that are trying to weasel their way into our bodies. Most of the bugs invade the upper respiratory tract which cause illnesses like the common cold, flu, throat, and ear infections. Luckily for us, our immune systems are pretty strong and can fight off attackers. Immune cells from the bone marrow and thymus fend off the invaders by interacting with them in the spleen, lymph nodes, and mucus membranes. This means that the bugs often come into contact with your mouth, gut, lungs, and urinary tract first. So now the question we ask is “Can the body fight off these offenders while sick? Well, first we should note that there is a difference between moving your body in an easy-medium effort and participating in an intense workout routine. Pushing your body to the max during a strenuous workout awakens a stress response in the body. This stress response can be easily adapted to when the body is healthy, and even increases fitness levels in the long term. But what happens when the body has been weakened by illness? Our bodies may not be able to withstand the stressors of an intense workout. BUT- don’t throw in the towel yet! You can still participate in low intensity workouts while you are sick (if you so desire). Low vs. high intensity varies from person to person so use your own perceived level of exertion as a guide. Here is why you shouldn’t participate in HIGH intensity, vigorous exercises while sick. One prolonged workout session, such as a marathon, can depress the immune system for up to 72 hours, making the body more susceptible to invasion by bacteria/viruses, etc. On the other hand- one easy-moderate brief intensity workout has been shown to boost the immune system in health people. So here’s the bottom line: If you are sick, your body is fighting off an infection, thus is under a large amount of stress. If you workout on top of that already high stress level you would put your body into overdrive. Avoid exercise if you have a fever, muscle pain, joint pain, fatigue/malaise, diarrhea, vomiting, etc. Activities to avoid include high intensity interval training, high intensity sports/team sports, intense endurance training, sprint training, heavy lifting, etc. If you have more mild symptoms such as a sore throat, runny nose, a cough, etc. you can most likely still engage in light exercise/ activity. When you are sick it is preferable to exercise outdoors if the weather is suitable, otherwise you can do some mild exercise indoors. If you are sick/recovering from an illness try activities such as yoga, walking, light jogging, light biking, swimming, pilates, etc. At the end of the day, only you can decide what is best for your body. Remember- no two bodies are the same. Some people feel better after doing light exercise with mild illness, while others may feel worse. 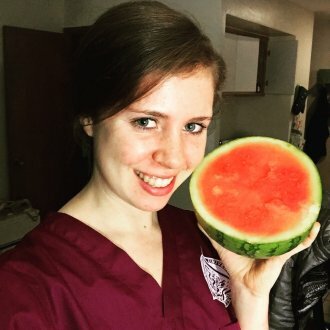 Be sure to consult your doctor with any questions you have in regards to this topic as I am not a medical professional, and am speaking from my own education and personal experience. Also, try not to feel guilty if you have to take a couple of days off the gym or your regular workout routine if you are sick. You will come back stronger after giving your body time to rest and rejuvenate. Another important note to consider is that if you are coughing/sneezing all over the place and touching all of the equipment at the gym without wiping things down, etc, your other gym goers may not be too happy with you! 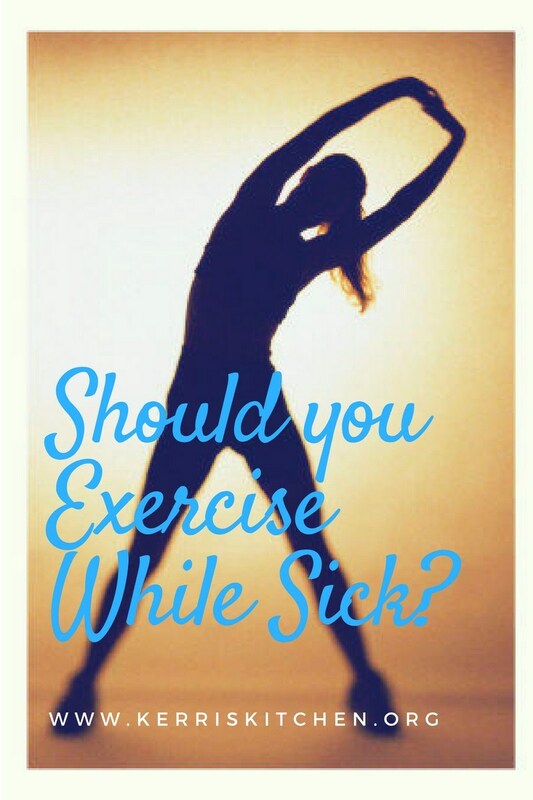 Do you exercise while sick? What are your favorite activities to do when you are coming back from an illness and trying to get back into it?